A handy stand. 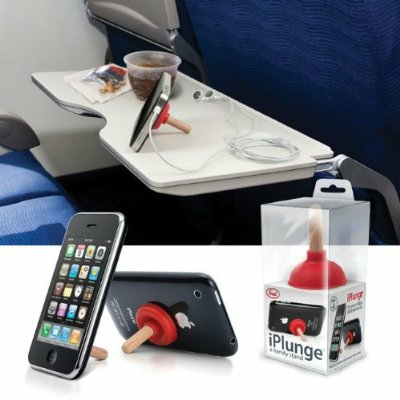 Prop up your iPod or smart phone to conveniently watch movies and video while on the go. No plumbing required.